To design a brand identity for Tiny Panther, I worked with Julia to select a typeface and color scheme that would strike the right balance between professionalism and approachability. For the type, the Nexa and Nexa Slab type families had the right personality and were available in multiple weights and styles, and as webfonts. The Tiny Panther logo started out as Nexa Slab Heavy, and then I manually re-drew the curve of the lowercase ‘t’, adjusted the thickness and alignment of the slab serifs, and fine-tuned the kerning to create a more harmonious lockup. The primary brand color, per Julia's request, was taken from the bicycle that she rides to many of her client engagements — a badass Surly Straggler in a sparkly purple finish called “glitter dreams”. 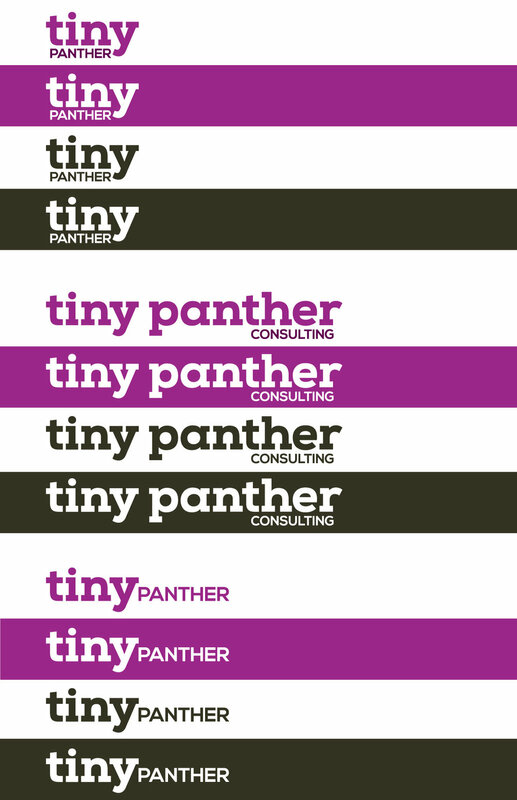 Once the brand identity was established, I built out a style guide so that Tiny Panther could carry it forward into their website and presentation materials. To get them started, I created a set of web graphics and business cards.